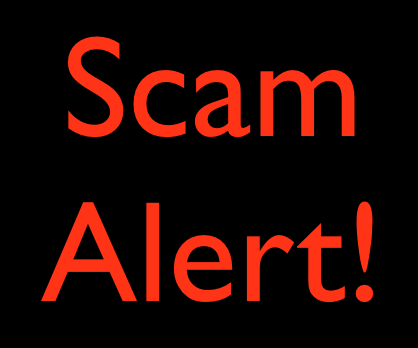 Consumers are warned that a pyramid scheme calling itself International Bread Winners is actively recruiting people in Botswana. 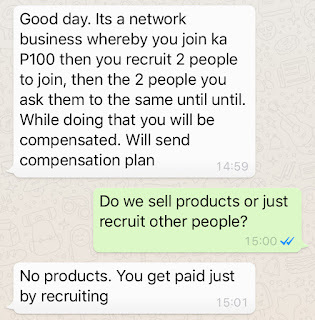 When asked whether the scheme has any products that are sold, or whether it is based solely on recruiting other members, they are very clear. YOU NEED 14 PEOPLE THAT HAVE COMPLETED STAGE 1 UNDER YOU TO JOIN YOU IN STAGE 2. AFTER STAGE 8 YOU WILL BE RECEIVING $40 000 EACH TIME ANYONE UNDER YOU DROPS INTO INFINITY STAGE. EACH AMOUNT YOU SEE HERE WHEN YOU DO NOT TRANSFER IT TO YOUR PERSONAL BANK ACCOUNT AND SELL IT TO OTHER IBW PARTNERS IT DOUBLES. The key thing is that there is either no product being sold or the product is only a minor part of the business. 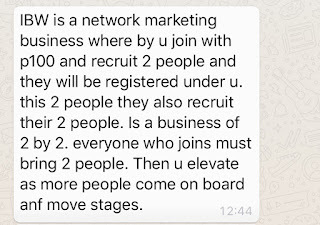 A pyramid scheme is all about recruiting multiple levels of other people and using their joining money to pay the people above them in the pyramid. Those people recruiting others into International Bread Winners are very clear that there are no products involved, just the recruitment of other people. The penalties for breaking this rule can be a fine of up to P100,000, imprisonment for up to 5 years, or to both. 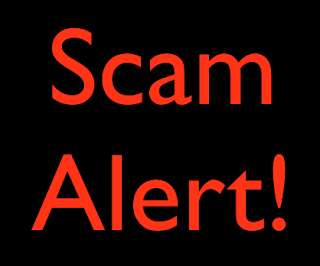 Consumers are urged not to enter into this or any other pyramid scheme. The company suggests that they have an office in London but the address they offer appears to be in a residential complex and the UK telephone numbers they offer are both cellphone numbers. The only other number given is a Botswana-based cellphone number. It also appears that no company called "International Breadwinners" is registered in the United Kingdom. The domain ("interenationalbreadwinners.com") was first registered to an address in India on 7th January 2019. We started 2019 with some predictions of things we felt would happen in 2019. Let's see if they've come true yet. People will still sign things they shouldn’t sign, and won’t sign things that they should sign. they won’t read or understand hire purchase, tenancies or loans agreements and, most importantly, investments and insurance contracts. Some will continue to assume (incorrectly) that “verbal” agreements have some value when they later need to take action against someone who has abused them. People will continue to be exploited because of this. Update: It wasn't really a consumer issue but someone contracted us with a tenancy issue. She'd moved in without signing an agreement. Subsequently the landlord had presented her with an agreement that included a with security deposit (which is normal) but she hasn't yet signed it. Now the landlord wants to sell property (again that's a normal thing). Should she pay the deposit? Yes, if she wants the assurance of a tenancy and if she wants to stay there if the property is sold. However, if she wants to save some money, she can refuse to sign the agreement. But then she'll have no assurance that she can stay there. Update: Someone asked: “Can somebody kindly explain to me how car insurance works. We have police report and my insurer says I should pay excess of P3,000?” I bet the "excess" payment is described in detail in the insurance policy. But has he read it recently? Or even at all? These scams will continue to promise wealth, comfort and excitement in return for recruiting multiple levels of victims beneath us. But they only one real aim: to make lots of money for the people at the top and at the expense of those lower down. However, they’ll soon face the fact that, for the first time in our history as a nation, their schemes are now illegal. Section 9 of 2018 Consumer Protection Act makes this very clear. Update: 4 Corners Alliance. 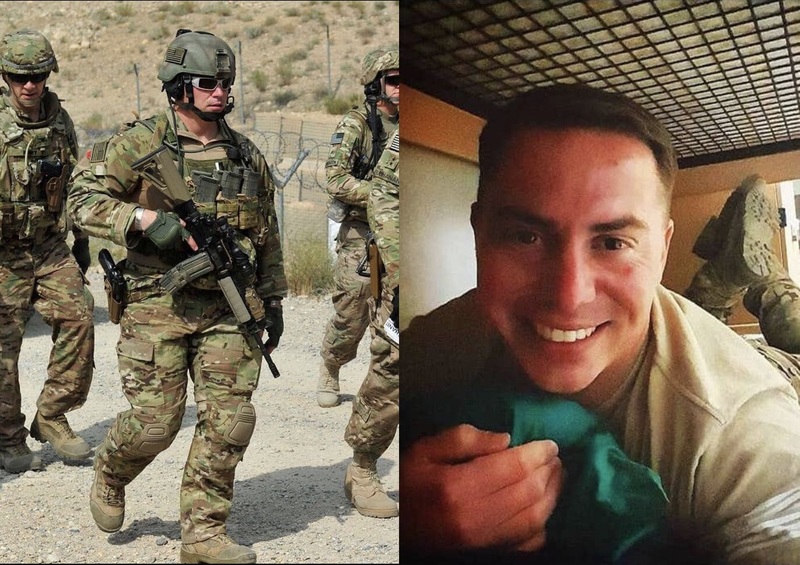 I asked one of their recruiters a few questions. 4 Corners Alliance is a pyramid scheme. This scheme is run in Botswana by a pastor with the close involvement of his wife and daughter. Interestingly the couple were previously promoting Jamalife, another pyramid scheme. He then said “I’m on duty driving will talk when I’m free.” What sort of duty might that be? It seems that as well as running church, he's a serving police officer. Update: This has been posted around Facebook, apparently from The President but clearly NOT. "you just pay the registration fees". That tells you all you need to know. Update: Green World offer what they call a “medical scanner” otherwise known as the “Quantum Resonance Magnetic Analyser Machine”. 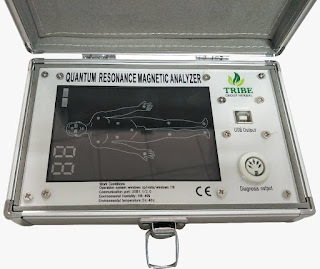 They claim that it can diagnose disorders such as “Anaemia, High blood pressure, Low blood pressure, Nutritional deficiency, Prostate disorder (not cancer), stroke, Low sperm count, hormonal imbalances, erectile dysfunction, ovarian cysts, cardiovascular problems, cerebrovascular problems, bone problems”. Is International Breadwinners legit? People at my church are encouraging me to join but I’m suspicious. 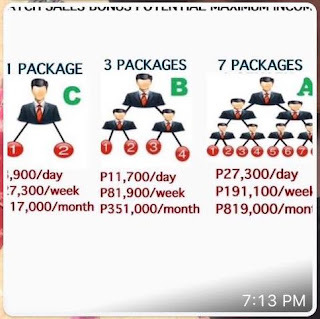 No, it’s not legit, it’s a pyramid scheme and the people doing their best to recruit new members are open about it. 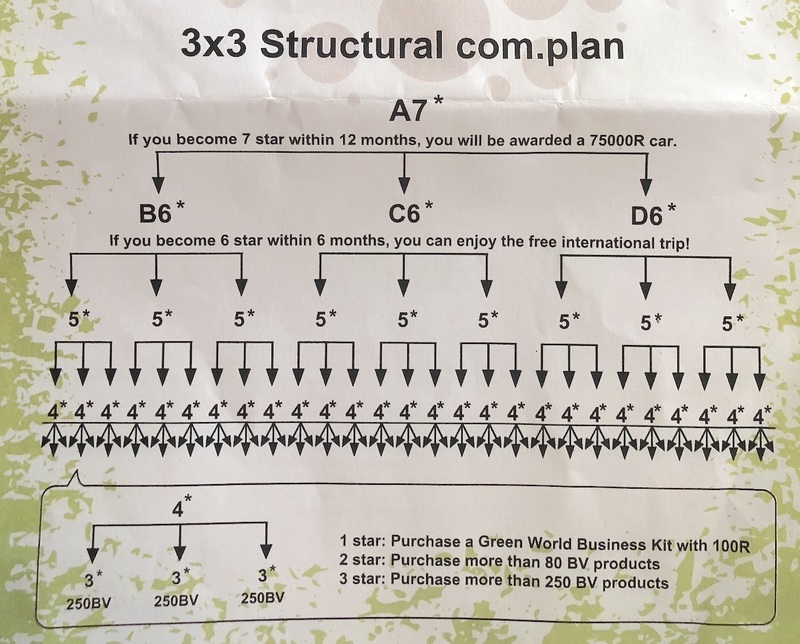 Let’s begin by explaining what exactly a pyramid scheme is. Section 9 of the new Consumer Protection Act says that it’s a scheme “where participants in the scheme receive compensation derived primarily from their respective recruitment of other persons as participants”. The key thing is that there is either no product being sold or the product is only a minor part of the business. 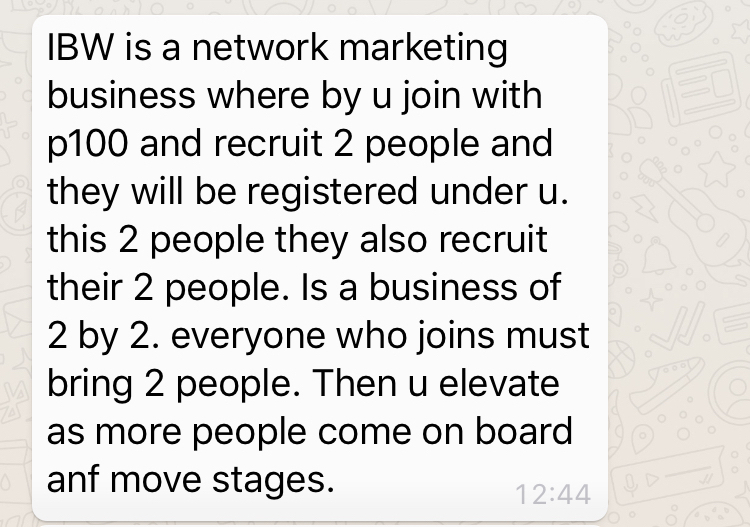 A pyramid scheme is all about recruiting multiple levels of other people and using their joining money to pay the people above them in the pyramid. The new Act does on to say that people “shall not directly or indirectly promote, or knowingly join, enter or participate, or cause any other person to promote, join, enter or participate in … a pyramid scheme”. Did you see that it said that as well as forbidding promoting a pyramid scheme is also forbids people from even joining one? The penalties can be severe. A fine of up to P100,000 or up to 5 years in prison. Or both. 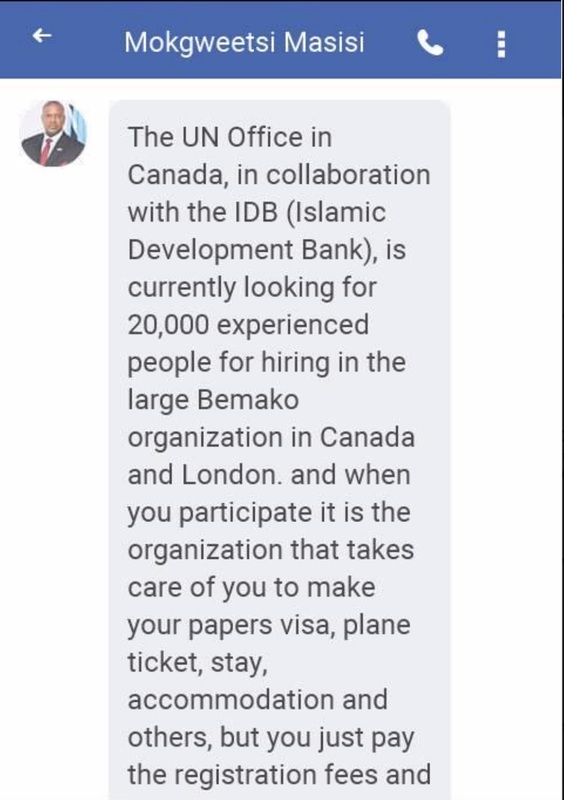 I contacted some of the people recruiting victims into this “International Breadwinners” scheme and they were very open about how it works. 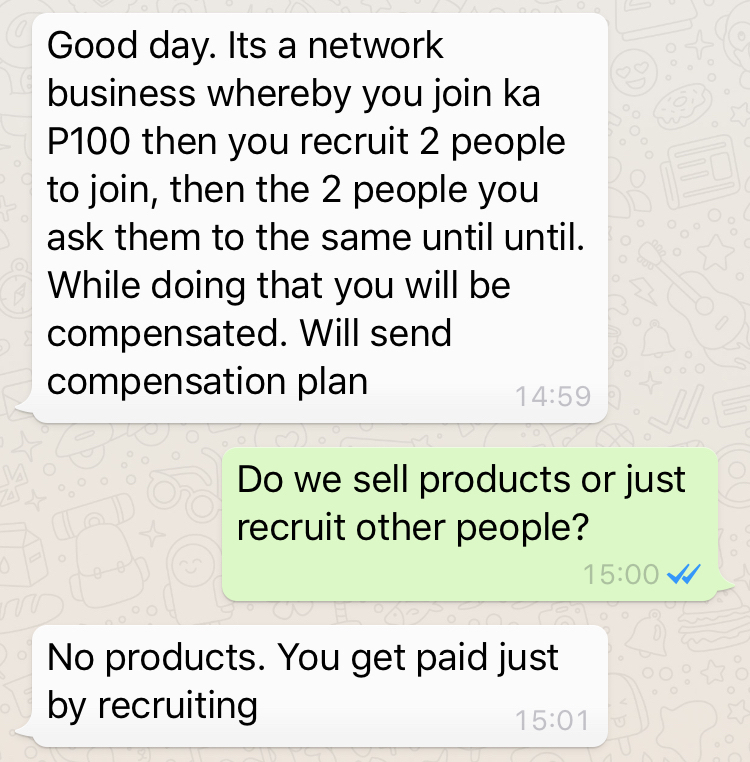 I asked whether people sell products or just recruit other people and one of them, apparently a pastor and someone who claims to be a serving police officer was clear. “we dnt sell anything” he told me. Another, who I believe is his wife, told me that there are “No products. You just get paid by recruiting”. 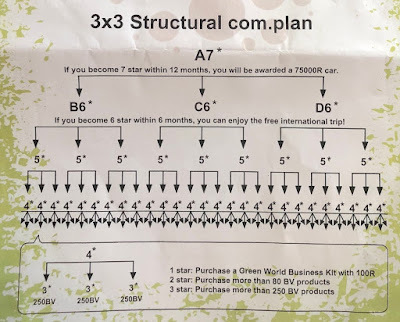 The people I contacted who are recruiting others in this scheme are open about it being a pyramid scheme. I suspect they will soon stop once they realise that the church they operate and their career in law enforcement are at risk. Do you want to face the same penalties they now face? I got an offer through LinkedIn for a job in Russia from an individual by the name of Alesandr Boris Oil & Gas Limited. He told me of the available job vacancy at the organization which were 3 vacancies and asked me of my qualifications. 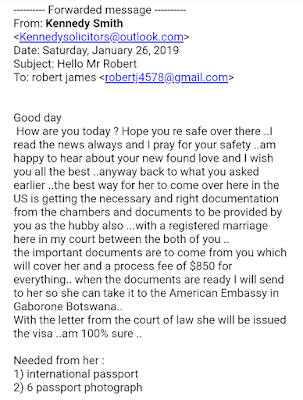 I replied with my qualifications and he responded saying that I should forward my CV and necessary documents to his agent who will take care of the whole process for me to be able to come and be permitted to work in Russia. 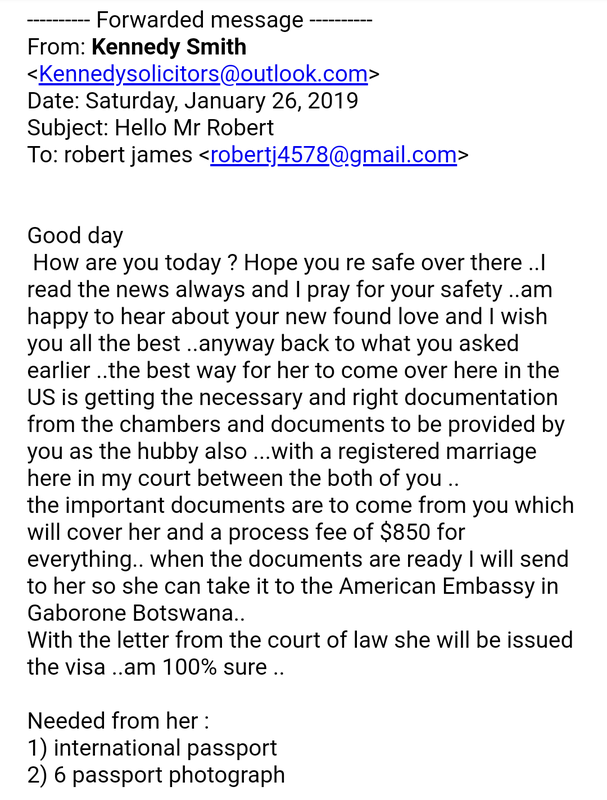 He gave me the email address of the agent who I managed to reach and he told me what documents he needs in order to process my permit to work in Russia, including transportation & accommodation. However the agent says that his services are not free and demands a fee of 1000 dollars. I told him and Mr Boris that I can’t afford that kind of money therefore Mr Boris says I should try negotiate with the Agent the amount I can afford of which I haven't done. I was hoping if you can check if Alesandr Boris, his organization and his agents are not a scam. I had approached the police and they referred me to Consumer watchdog which is where I got your email address. Hope to hear from you soon. Thank you advance. I don’t need to do much research to say with certainty that this is a scam. The most obvious clue is that they want you pay the “agent” $1,000 to get your work permit. 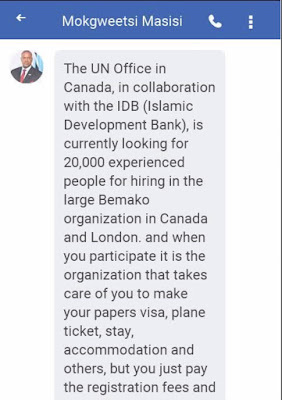 This is simply not how international recruitment works. Genuine companies pay for everything when they recruit someone from overseas. They pay for flights and accommodation and they certainly cover the cost of getting whatever visas might be necessary. They pay them. Not you, not the recruit. Another clue is quite simple. Why would they offer a job in the oil and gas industry to someone on the other side of the planet who doesn’t have any experience in that industry? And another thing. They didn’t interview you face-to-face? It’s simply not realistic. This is the beginning of an advance fee scam. The $1,000 (which is curiously flexible when you say you can’t afford it) is what this is all about. If you were to pay them they’ll just continue to invent a list of other payments until you either run out of money or finally realise that you’re being scammed. I suggest that you delete the emails and any others you receive like this. Please take your time to read through this post from the first line to the last before making any comments or questions. We offer loan to blacklisted client,Business persons,Government employee,workers etc and client that are on ITC. We offer loan to all SADC member states. (Angola, Botswana, Congo (DR), Lesotho, Malawi, Mauritius, Mozambique, Namibia, Seychelles, South Africa, Swaziland, Tanzania, Zambia and Zimbabwe ). All loan Application are processed and transferred from our office here in south Africa. PLANET ONLINE FINANCE is a legitimate and well known lending company based in , SOUTH AFRICA. We offer loans to individuals as well as organizations who have intentions of renovating houses and institutions, debt consolidation, re-financing and also establishment of business outfits. We give out our Loan in an currency of your choice. 4: Latest Proof of Residence. You can also call us or send message through whatsapp: 0786168532." No landline number, just a cellphone. Not even an email address. Astonishingly cheap loans and HUGE amounts of money available. "Please can you send me ur I'd number along with ur names with ur cell phone number. Let me check if u qualify for a loan in our company". "Let me check if u qualified for ur loan, I will get back to u ok". "Congregation, ur loan has been approved ok (...) Your monthly installment for 60 months , is 1796.87 Loan interest R 7812.20 Total payment R 107812.20. Your registration fee is R2500. This fee will enable us to register your information in our system and the release of your loan into your bank account. But this fee will be refunded back to you after three working days." Of course this is what it's all about. The "registration fee" of R2,500. I asked for their company details and they gave me an incomplete SA company registration number. However, a little detective work showed that no company called "Planet Online Finance" is registered in South Africa and the number they use has also been used before by "Bridge finance loan", an identical loan scam. Please don't waste your time, money and effort on this scam. We've discussed food labelling many times, particularly the use of “Best before” dates and “Expiry” dates. The difference is actually quite simple. Expiry dates matter, they're important, it's illegal for a store to sell something after its Expiry date. Best Before dates just offer advice on when a product will be in the best condition. There's nothing legally wrong with selling something after a Best Before date. But that doesn't make it good practice. Who should be educating the public on food safety? The Ministry of Health and Wellness? Ministry of Basic Education? The food industry? Consumer Watchdog? Which stage in the food chain is the most dangerous? Look in the mirror. 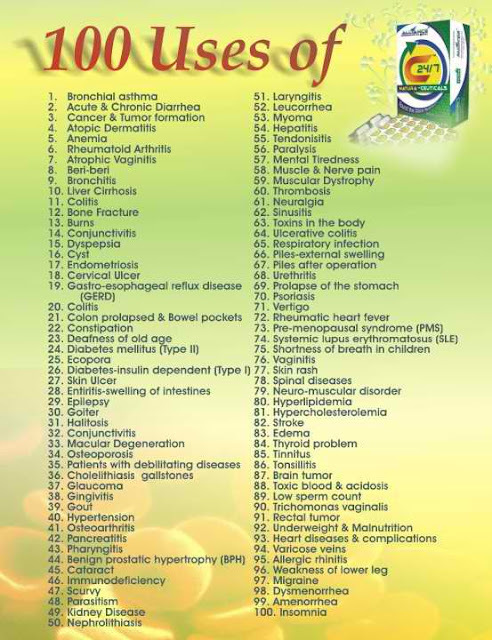 We consumers poison ourselves far more often than the food industry does. 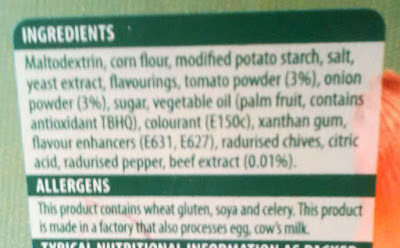 Do we ever read the ingredients on packages? This is the list of ingredients on the back of a packet of Oxtail soup. You remember that oxtail is beef, don't you? Why would you want to consume this product which isn't actually food? Is Bitcoin an investment? No. It's value has dropped from its peak at almost $20,000 to a mere $3,600, a drop of over 80%. Does that sound like an investment? But it's still being sold as a way of making money. It's also surrounded by a huge range of pyramid and Ponzi schemes. We need a lot more education on this. BOMRA, the Medicines Regulatory Authority replaces the Drug Regulatory Unit in the Ministry of Health and Wellness. It's remit covers medicines, medical devices and cosmetics. 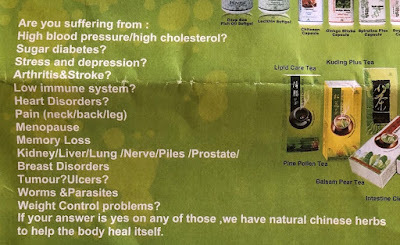 “Anaemia, High blood pressure, Low blood pressure, Nutritional deficiency, Prostate disorder (not cancer), stroke, Low sperm count, hormonal imbalances, erectile dysfunction, ovarian cysts, cardiovascular problems, cerebrovascular problems, bone problems”. Dangerous lies like this are why we need BOMRA. Should I join AIM Global? I read what you wrote about Alliance In Motion (AIM) Global in the newspapers last year. It is now back in Gaborone to recruit members. My question is: "Is it now a proper company to join?" No, please don’t even think of joining Alliance In Motion. Nothing has changed since they first appeared all the way from the Philippines to sell their scheme. AIM Global is most certainly a pyramid scheme and they don’t seem shy about talking about it. They talk non-stop about the need to recruit multiple levels of people beneath you and then about how much money you can make when you start recruiting other people. If you read Section 9 of the new Consumer Protection Act you’ll see it explains that a pyramid scheme is “where participants in the scheme receive compensation derived primarily from their respective recruitment of other persons as participants”. That’s exactly how AIM describe their business. The really dangerous aspect of AIM Global is the product range they offer. They claim that their “C247” product can help with 100 different serious medical conditions including asthma, beri-beri, cirrhosis, bone fracture, deafness, endometriosis, epilepsy, hypertension, hepatitis, “toxins in the body”, stroke, migraine and even cancer and “immunodeficiency”. Not only are they extremely dangerous claims to make, it’s also illegal in Botswana to make them. Not only does the Penal Code forbid such advertisements, but the new Medicines Regulatory Authority are going to want to ask some questions as well. But that’s not the only illegal thing they do. I had a WhatsApp conversation with one of their recruiters and he proudly claimed that this C147 product had been approved by both our Ministry of Health and the Botswana Bureau of Standards. Both of those claims are lies and are illegal. So, do you really want to associate with a company that has broken the rules set by the Ministry of Health, BOMRA, BOBS and by the law itself? 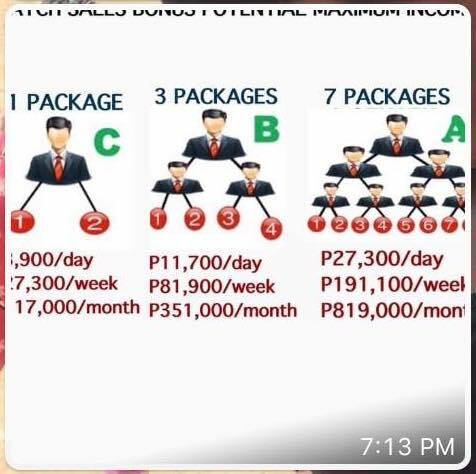 Did I mention that the new Consumer Protection Act says that even joining a pyramid scheme, not just operating or promoting it, can lead to a fine of up to P100,000 and imprisonment for up to five years? Can I demand a new phone? On 25th October i bought a Lenovo K6 phone from a store in Game City. Around 28th January the battery seemed to have a problem as it could not fully charge even if I left it charging overnight. On 2nd February the phone was completely off and could not charge. I took it back to the store where they promised they'll fix the battery. On 8th February I went to check my phone only to find its screen broken with a crack diagonally connecting two of its corners. I talked to the manager about it and she admitted it was one of her employees fault then she told me to come and collect it today around lunch time as they will fix the screen. I just said yes BUT throughout the night I was thinking about my phone and wondering what if the phone was dropped or knocked breaking the internal circuit? They might just fix the screen and next week it will give me another problem. So I wanted to know if I have any right to demand a new phone to replace this one as they have already voided its warranty. I am afraid the fixed or replaced screen is not going to give me the satisfaction that I got from the original screen of the phone. It might seem unfair but there is currently no right to demand a replacement when a product is faulty. You are entitled to one of the three Rs: a refund, a repair or a replacement but it’s the decision of the supplier to decide which they offer you. They’re entitled to do their best to repair the phone to the condition it was in when you gave it to them. However, I also think you’re entitled to ask them for some evidence that the phone is back to its original condition. I would ask them for a technical report that states that the battery and charging mechanism are back to normal but also exactly what you asked for, an assurance that the screen repair didn’t cause any other damage. I don’t think that’s an unreasonable thing to ask.